At Bournville School students wear their uniform with pride. 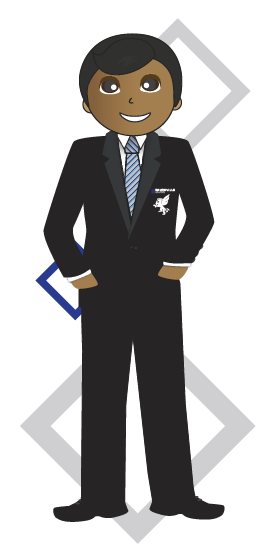 Uniform is the responsibility of students and parents/carers as well as staff – especially the form tutor who must ensure that high standards are maintained and that students begin everyday appropriately dressed. Our uniform expectations are clear and available by clicking here. Students arriving to school dressed inappropriately will be expected to either; return home to change, borrow the item of uniform from school or, where this is not possible, be placed in isolation until their uniform, hairstyle or piercing has been rectified. Parents/carers will be notified if their child is in incorrect uniform and are expected to ensure this is rectified as soon as possible. Trousers must be tailored (no leggings, skinny fit, extreme bootleg or denim). Should girls wish to do so, they may wear the school skirt (bearing the school logo). Shirts must be plain white and buttoned to the neck to enable the school clip-on tie to be worn correctly. Shoes must be plain black formal shoes (not boots, pumps or trainers bearing logos). 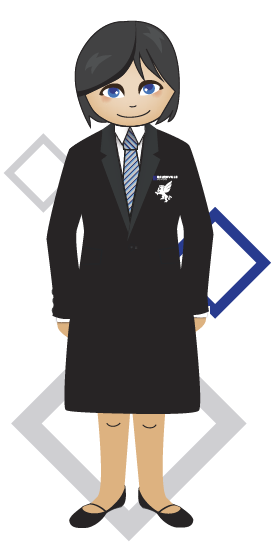 A plain coat may be worn over the school blazer on the way to and from school, at breaks and lunchtimes and when moving between lessons. Headgear is not allowed with the exception of a plain black or grey hijab. Hoodies, leather jackets or denim jackets are not permitted in school. The ONLY jewellery permitted to be worn in school is one plain stud earring in each ear, worn in the lower ear lobe and a wristwatch (no smart watches). No other jewellery may be worn. This includes body and facial piercings (including tongue piercings, flesh tunnels and spikes). Jewellery should be removed for PE. Some parents may be under the misconception that they can give consent for their children to have permanent tattoos. However, under the Tattooing of Minors Act 1969 it is a criminal offence to tattoo a child under the age of 18. Therefore, tattoos are not permitted. Make up must be kept discreet and natural looking. Students wearing excessive make up will be asked to remove it. False nails and coloured nail polish are not permitted. Hairstyles must be in keeping with a formal place of work. Extremes of hairstyle and unnatural colours (vivid pinks, purples, reds etc) are not permitted. Haircuts must be conventional; shaven heads, lines and patterns, mohicans and mohawks are not allowed. Hairstyles should be no shorter than a grade two. Hair ornaments e.g. slides, bobbles, scrunchies, hairbands should be a plain dark colour. The shaving of lines into the eyebrow is not permitted. The Associates have stated that “the Head Teacher’s discretion and decision on all matters of uniform including hairstyles is final”. With ever evolving fashion trends, Bournville School reserves the right to revise our School Uniform Policy as and when appropriate to do so. Uniform can also be purchased online here.